To Beirut. Storms. Heavy rain. Seas sweeping over the little port by my home. Poor old Palestinians. I should have guessed something was up in Jerusalem last year when an Israeli journalist asked me about the United Nations Relief and Works Agency (UNRWA), the agency that has been caring for Palestinian refugees for 60 years. “I’m sure,” he announced to me, “that they have some connection with terrorism, that they play a role in keeping terrorism going. What are they really doing in Lebanon?” At the time, I thought this all a bit odd. If any UN institution does its job well, it is UNRWA, arranging for the food, education, healthcare and other needs of millions of Palestinians who lost – or whose parents or grandparents lost – their homes in 1948 and 1949 in what is now Israel. A visit to the filth of the Sabra and Shatila camps in Beirut, or to Ein el-Helweh in Sidon, is enough to teach anyone that amid this swamp of misery and hopelessness, UNRWA represents the world’s only collective sympathy, underfunded, short-staffed, poor though it is. Yet now, the whole organisation is being singled out by a right-wing Israel and its so-called (and self-proclaiming) supporters as purveyors of darkness, “de-legitimisers”, a network of support for Palestinians which must be destroyed lest the poorest of the poor – including those in the misery of Gaza – become addicted to their social services. UNRWA – I find it hard to believe this is a real quotation from a research fellow at a major US university, but it is – has “created a breeding ground for international terrorism”. I suppose we might as well laugh as cry, but this comes from a cruel – indeed vicious – article that appeared in the American Commentary magazine a few weeks ago, written by one Michael Bernstam, a fellow at the Hoover Institution at Stanford. I single it out not because it is atypical, but because it represents a growing and quite ruthless trend in right-wing Israeli thinking, the kind of self-delusional brutality that is supposed to persuade us that the destiny of the poorest of the Palestinian poor is the destruction of their camps. In his article, Bernstam actually claims that “for 60 years, UNRWA has been paying four generations of Palestinians to remain refugees, reproduce refugees and live in refugee camps”, where it is, “in effect, underwriting a self-destructive Palestinian cycle of violence, internecine bloodshed and a perpetual war against Israel”. Get the point? The UN is now the fount of all terror. There was a time when this kind of drivel would be ignored but it is now part of an increasingly dangerous narrative in which charity is turned into evil, in which the one institution supplying help to perhaps 95 per cent of almost five million Palestinian refugees is to become a target. And since UNRWA in Gaza did appear to become a target in the 2008-9 bloodbath, this is pretty frightening stuff. But hold on. It goes further. “UNRWA’s mandate created … a permanent supranational welfare state in which simply placing most Palestinians on the international dole has extinguished incentives for work and investment … and created a breeding ground for international terrorism. It is this open-ended refugee status that puts bread on the table in the rent-free house, together with an array of rent-free services.” This allows the Palestinians – mark these words – a “permanent refugee … war as it is fuelled by a particular ‘right of return’ claim – the argument that the Palestinians should be given title to the land they occupied before Israel’s independence”. And so it goes on and on and on … UNRWA should be abolished, which “would signal the end of the world body’s support for the continuance of the Palestinian’s agony … Israel is obviously unsuitable as a country of resettlement because integration there is not feasible … Instead of perpetuating the dead end that the international welfare state for the Palestinians represents, ending UNRWA’s horrific six-decade reign would instantly create the conditions for an honest, meaningful and viable peace process to begin in the Middle East”. There you have it. Mr Bernstam should meet Mr Gaddafi. They have a lot in common. Total contempt for the Palestinians. Total abuse for a people who have lost their future and their lives. Total abuse for anyone but their own tribe. 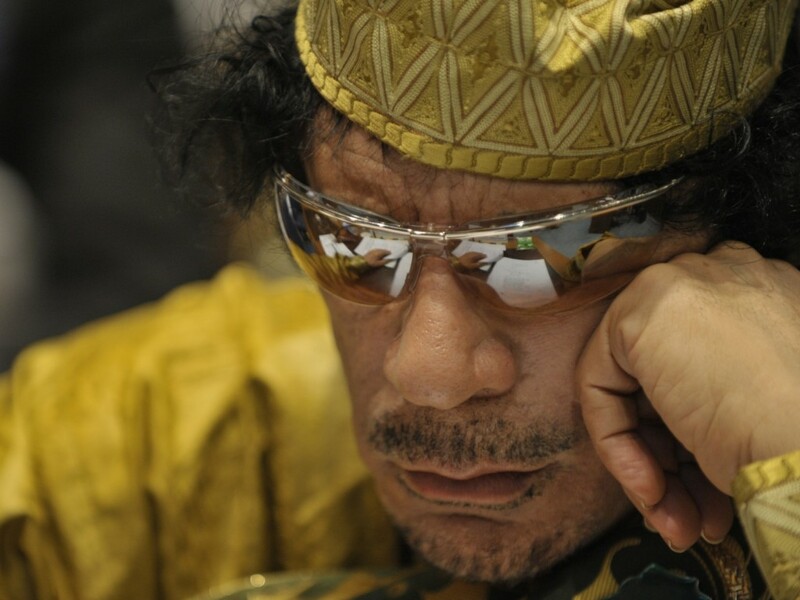 Wasn’t it Gaddafi who invented the word “Israeltine”?